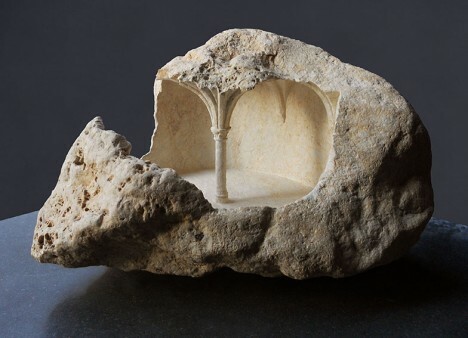 Combining the raw exterior remnants of source stones with the finely-tuned architectural details of sacred spaces, these marvelous fossil-like miniatures combine compelling elements of organic forms with heroic amounts of human effort. 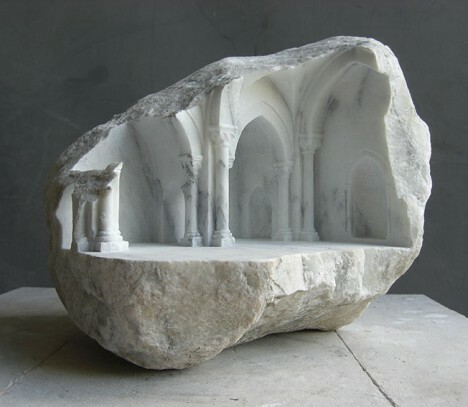 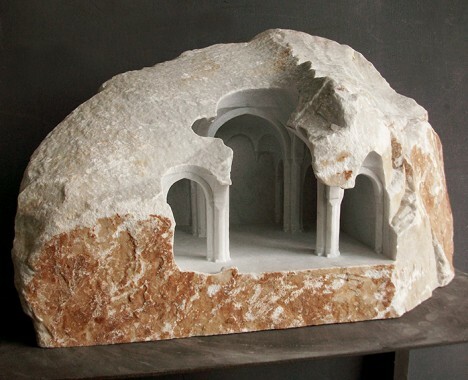 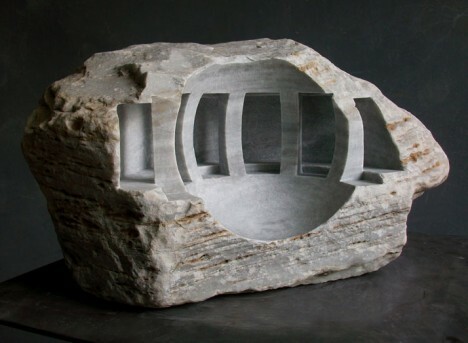 Matthew Simmonds studied art history before becoming a stonemason, then turned his knowledge and skill toward a hybrid pursuit: sculpting spaces from sandstone, limestone and marble. 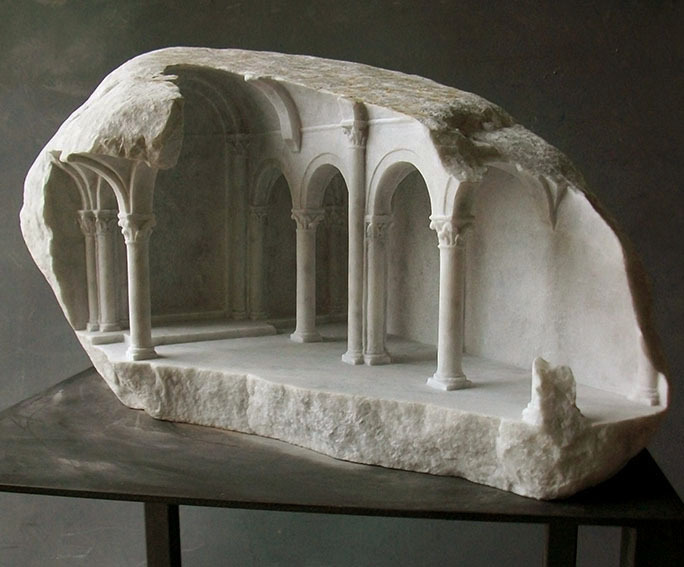 What he uncovers inside each chunk becomes part of a graceful juxtaposition with the rough and unaltered exterior shells that remain. 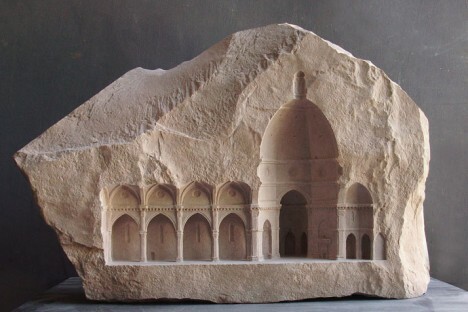 His works also convey a sense of discovery, as if archeologists had dug down to find these marvelous wonders buried in history. 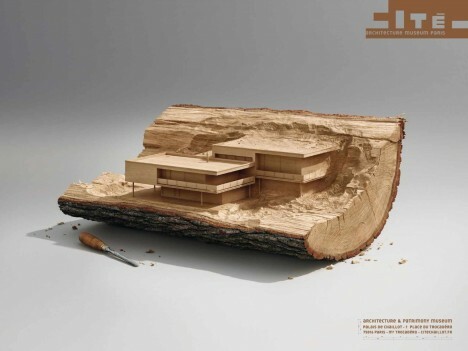 Geoff Manaugh highlighted Simmonds work but also connected it to similar approach taken in a stellar piece of museum advertising set in wood, a promotional image of modern architecture hewn from a log, made for the Cité de l’Architecture.